If the laws and regulations of the Controlled Substances Act (CSA) were being enforced in 1776 as they are today, George Washington, Thomas Jefferson, Benjamin Franklin, and many other founding fathers and heroes of the American Revolution would be sitting in a federal prison. 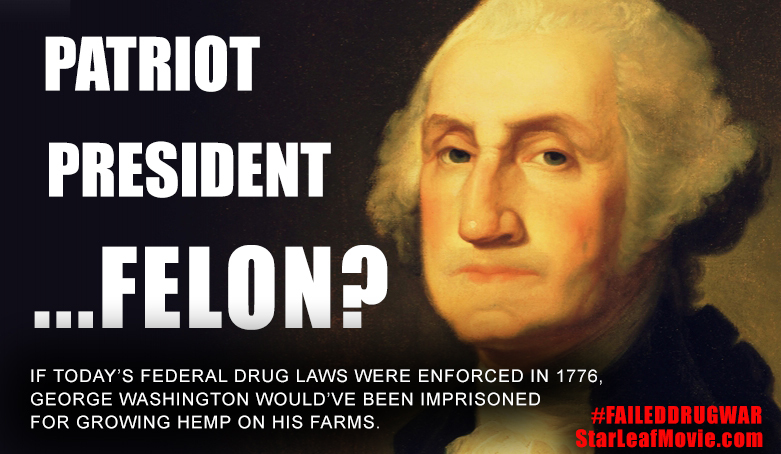 Many dispute whether or not these founding fathers ever cultivated their hemp plants for anything other than ropes for the British Navy, but even hemp production alone would still qualify them for a flashbang grenade being tossed through the White House window and DEA jackboots kicking down the door to the Oval Office. With state laws allowing hemp production to resume in the United States for the first time in 77 years, the Federal Government still views hemp as a schedule 1 drug, punishable up to 10 years in prison, or longer. Thanks to the greed and jealousy of the Duponts, Mellons, and Hearst families, The Marihuana Tax Act of 1937 pretty much wiped out a thriving hemp and cannabis culture in North America. Not only was hemp one of the biggest exports of the original thirteen colonies and eventual United States, hemp went on to win World War 2 and even saved President George Bush's life after he was shot down by the Japanese in the Pacific. How much more patriotic can a plant get? 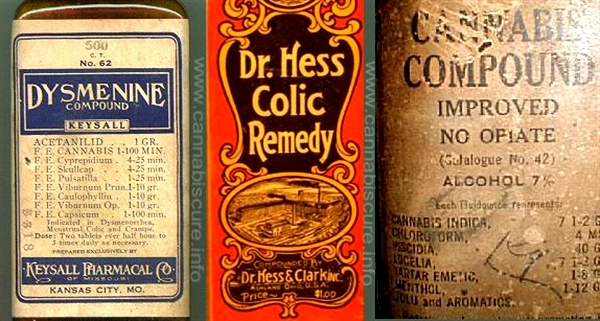 Grandma's Folk Medicine Worked a Little Too Well for Big Pharma's Taste. Who exactly is winning the war on drugs again? Certainly not We The People - nor our beloved forefathers who inked those immortal words into our country's founding documents, most of which were written on hemp paper. Instead of being treated as the heroes and patriots they were, they'd have been put in jail right alongside El Chapo and other drug lords for committing the crime of making America not great again, but truly great in the first place. Luckily for our founding fathers, El Chapo had a nack for building some of the greatest escape tunnels ever. Liberty - it's what everybody wants, you know?